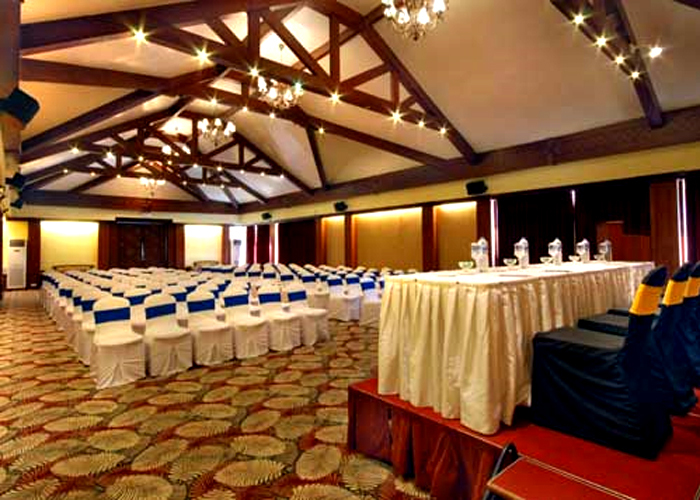 Accomodation : The resort offers 53 rooms, each having an approximate area of 600 square feet with private sit-outs. 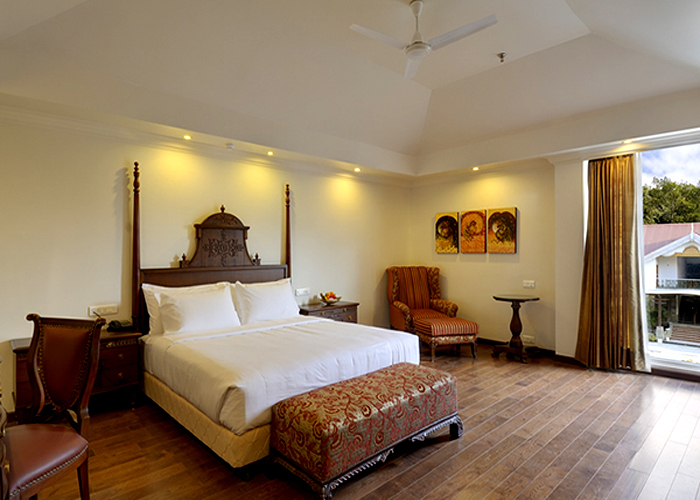 Deluxe Rooms It has 2 Deluxe Rooms, each having an approximate area of 850 sq. 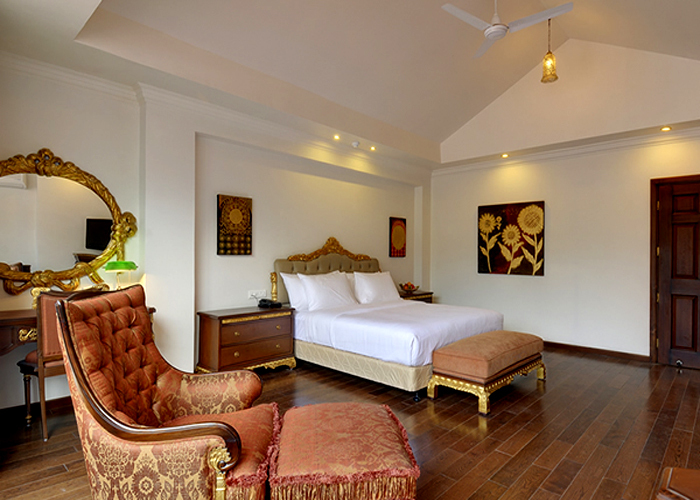 ft.
Suite The resort has 4 suites, each having an approximate area of 900 sq. ft. Luxury Suite The resort has a Luxury Suite, having an approximate area of 1400 sq. ft. 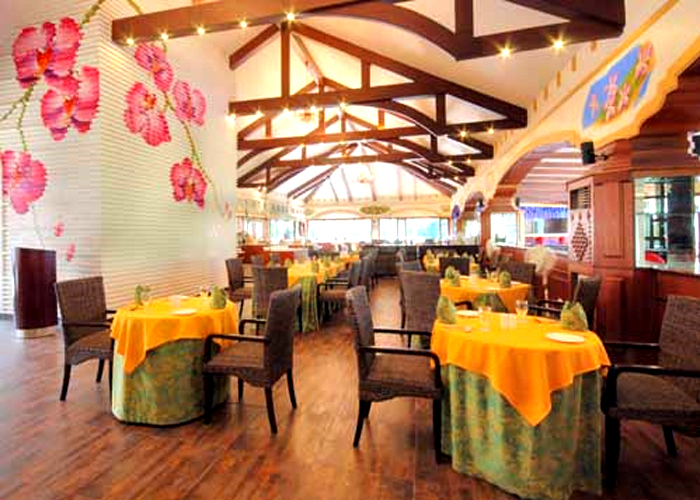 Dining : Lavish buffets are laid daily in the multi-cuisine restaurant serving Indian, European and Oriental delicacies. Macrobiotic spa cuisine crafted from the harvest of the organic vegetable and herb gardens awaits you at Mayfair Gangtok. Live cooking is on display at this restaurant. The all day dining Jungle Cafe is the perfect option for a quick snack with an experience of the great outdoors. The bar by the restaurant offers everything from cigars to champagnes, wines to whiskies. The pool bar offers signature cocktails, beverages and snacks on the pool deck..
Spa & Fitness Center : Spa When you walk into The Mayfair Spa, you embark upon a personalized sensory journey; a journey to inner wellbeing that focuses on the senses of sight, smell, touch, taste, sound and intuition. 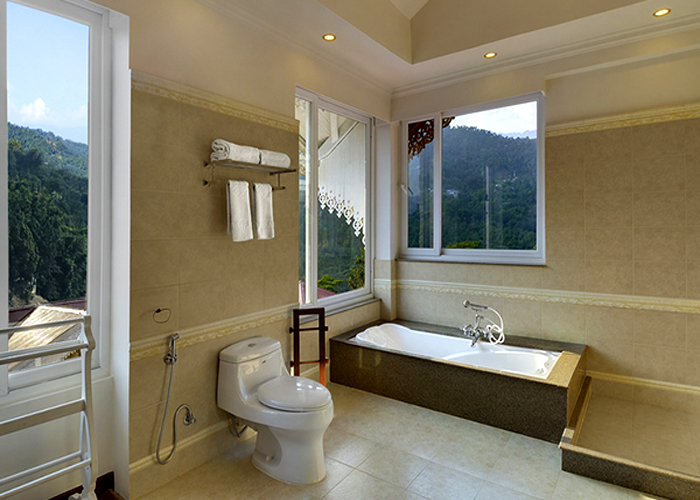 The 12,000 square feet Spa at Mayfair Gangtok comprises of 12 therapy rooms with an array of luxuriating treatments to choose from using Pevonia products. As you lie back and relax, experience your transition to a state of solace as your troubles drift away. Fitness Center The fitness center is equipped with the latest fitness equipments along with a fitness instructor providing you the perfect opportunity to stay fit and healthy. 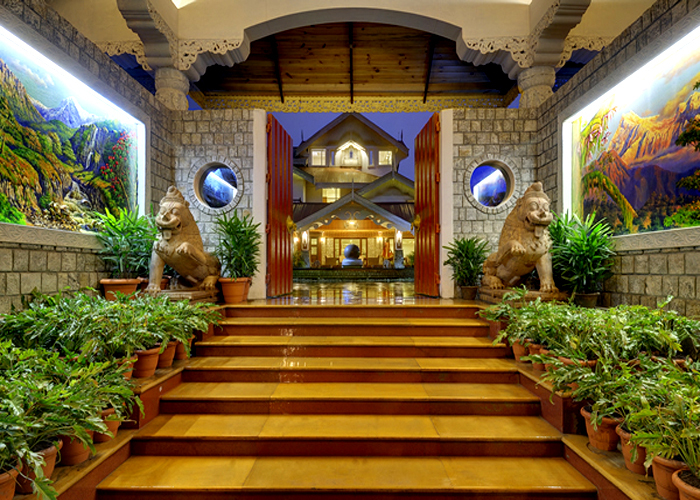 The first five-star deluxe hotel in the Northeast – MAYFAIR Gangtok Spa Resort is situated 10 km equidistant from the down town and the famous Rumtek monastery. 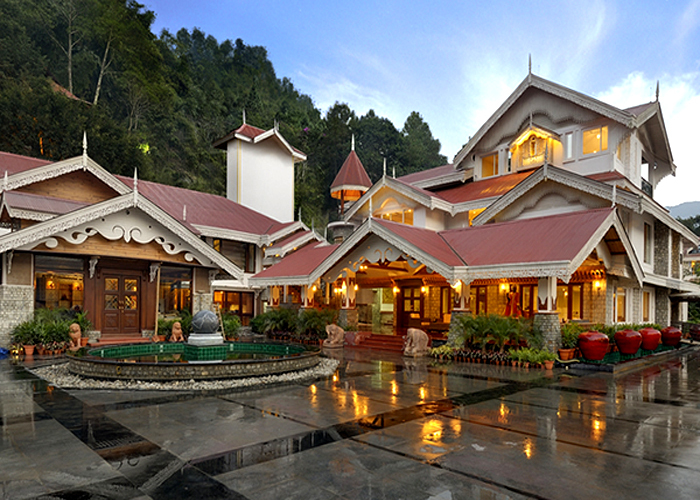 Mayfair Gangtok Spa Resort is the latest addition to the MAYFAIR Hotels & Resorts list of treasures. 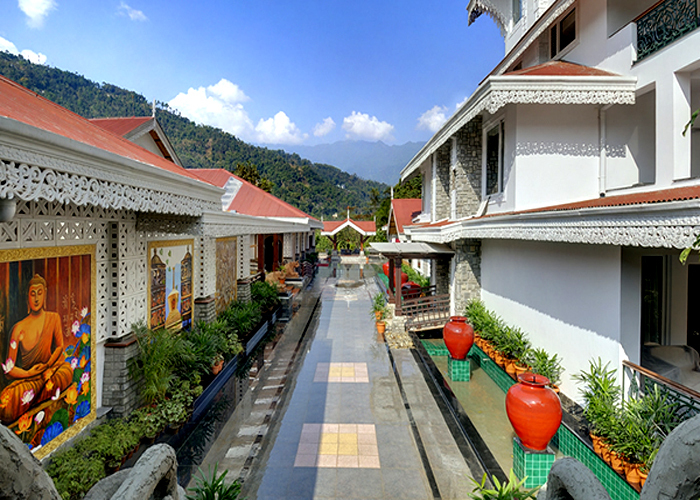 The Mayfair Gangtok Spa Resort aspires to offer individual guests an experience of being surrounded by nature, blending it with lavish luxury in the abode of the Gods. 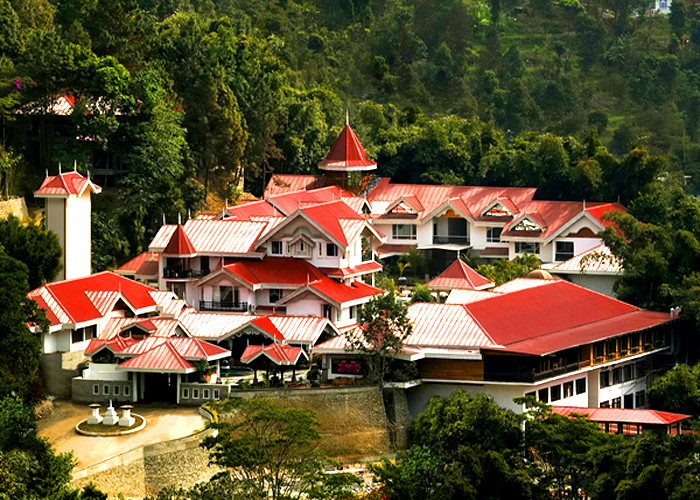 Mayfair Gangtok Spa Resort, built on the theme of monastery, has a unique blend of Sikkimese architecture and modern amenities. Address : Lower Samdur Block, Ranipool 737 135, Gangtok, East Sikkim.